This Index is to help both new and current Followers of the Granada Native Garden Newsletter become acquainted with the Garden and its Newsletter … and to help current Followers locate informational articles from earlier posts and individual topics. To use this Index, scroll down to the topic that interests you. Take note of the month and year when the topic was archived. Then back up to the current Newsletter post and click on the desired month and year in the Archive list. To become a Follower, just find the “Follow” button at the lower right corner of the screen and follow the easy instructions. You will be notified automatically by email whenever a new post is published (usually every one or two months). 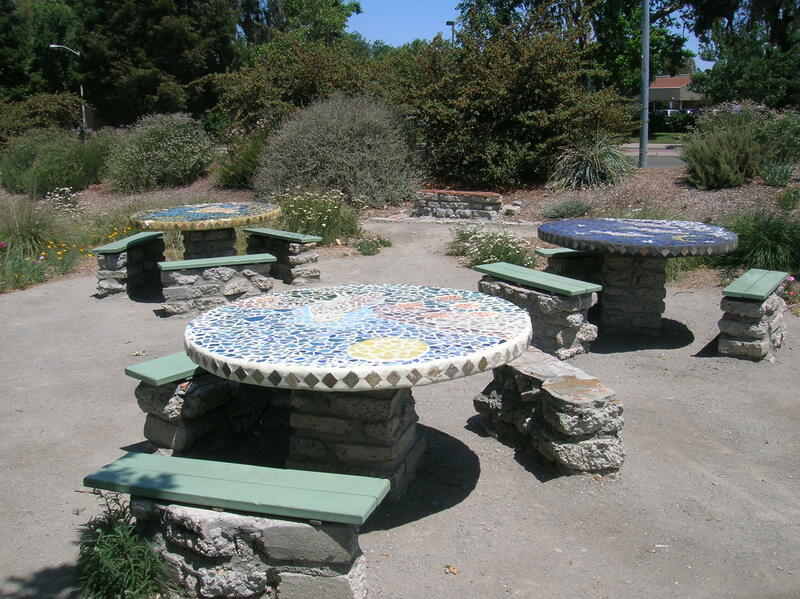 Welcome to the Granada Native Garden Newsletter! If you have questions or comments, please email Jim at JIMatGNG@gmail.com . A. INDIVIDUAL PLANT TOPICS: COMMON NAMES Buckeye: Archived in April, 2016. Posted on April 17. Buckwheat: Archived in June, 2013. Posted on June 26. Bush Poppy: Archived in February, 2015. Posted on February 3. California Poppies: Archived in March, 2013. Posted on March 15. California White Oak: Archived in August, 2014. Posted on August 29. Clarkia: Archived in May, 2014. Posted on May 4, 2014. Coyote Brush: Archived in February, 2014. Posted on February 7. Elderberry: Archived in August, 2013. Posted on August 23. Fiddleneck: Archived in February, 2016. Posted on February 7. Grape: Archived in December, 2015. Posted on December 1, 2015. Holly-Leafed Cherry: Archived in October, 2015. Posted on October 11, 2015. Lupine: Archived in April, 2013. Posted on April 29, 2013. Malva Rose: Archived in August, 2017. Posted on August 8, 2017. Matilia Poppy: Archived in May, 2016. Posted on May 30, 2016. Miner’s Lettuce: Archived in January, 2016. Posted on January 17, 2016. Mugwort: Archived in July, 2015. Posted on July 2. Our Lord’s Candle: Archived in May, 2015. Posted on May 29. Purple Needlegrass: Archived in April, 2015. Posted on April 30. Sagebrush: Archived in July, 2015. Posted on July 2. Toyon: Archived in December, 2013. Posted on December 5. Valley oak: Archived in August, 2014. Posted on August 29. Yampah: Archived in July, 2016. Posted on July 14. Yarrow: Archived in March, 2017. Posted on March 5. B. INDIVIDUAL PLANT TOPICS: SCIENTIFIC NAMES Achillea millefolium: Archived in March, 2017. Posted on March 5. Aesculus californica: Archived in April, 2016. Posted on April 17. Amsinckia menziesii: Archived in February, 2016. Posted on February 7. Artemesia spp. : Archived in July, 2015. Posted on July 2. Baccharis pilularis: Archived in February, 2014. Posted on February 7. Clarkia spp. : Archived in May, 2014. Posted on May 4. Claytonia perfoliata: Archived in January, 2016. Posted on January 17, 2016. Dendromecon: Archived in February, 2015. Posted on February 3. Eriogonum spp. : Archived in June, 2013. Posted on June 26. Eschscholzia californica: Archived in March, 2013. Posted on March 15. Hesperoyucca whipplei: Archived in May, 2015. Posted on May 29. Heteromeles arbutifolia: Archived in December, 2013. Posted on December 5. Lupinus spp. : Archived in April, 2013. Posted on April 29. Malva assurgentiflora: Archived in August, 2017. Posted on August 8. Quercus lobata: Archived in August, 2014. Posted on August 29. Perideridia kellogii: Archived in July, 2016. Posted on July 14, 2016. Prunus ilicifolia: Archived in October, 2015. Posted on October 11. Romneya coulteri: Archived in May, 2016. Posted on May 30, 2016. Sambucus mexicana: Archived in August, 2013. Posted on August 23. Stipa (Nassella) pulchra: Archived in April, 2015. Posted on April 30. Vitis californica: Archived in December, 2015. Posted on December 1, 2015. About “Fire Followers”: Archived in July, 2014. Posted on July 10. Current Attractions – Earth Day, 2014: Archived in April, 2014. Posted on April 27. Is There Life after Poppies? Archived in May, 2013. Posted on May 27. Planting for Pollinators: Archived in November, 2013. Posted on November 10. Precocious Poppies & Other Signs of Spring: Archived in February, 2014. Posted on February 26. The Colors of Spring (April, 2014): Archived in April, 2014. Posted on April 6. The Return of the Wildflowers: Archived in March, 2015. Posted on March 19. Two Surprise Appearances! : Archived in March, 2015. Posted on March 31. Welcome to the Granada Native Garden! Archived in February, 2013. Posted on February 18. Overview of the Granada Native Garden Archived in February, 2013. Posted on February 24. A Short History of the Granada Native Garden Archived in May, 2013. Posted on May 8. Plant Communities of the Granada Native Garden Archived in April, 2013. Posted on April 1. Water Management at the Granada Native Garden Archived in January, 2015. Posted on January 3. Why Should We Plant Natives? Archived in November, 2014. Posted on November 11. Why Do People NOT Grow Native Plants? – Part 1 Archived in July, 2013. Posted on July 18. Why Do People NOT Grow Native Plants? – Part 2 Archived in July, 2013. Posted on July 24. Planting for Pollinators Archived in November, 2013. Posted on November 10. Fire! … at the Granada Native Garden Archived in June, 2014. Posted on June 10. About “Fire Followers” Archived in July, 2014. Posted on July 10. Current Attractions – Earth Day, 2014 Archived in April, 2014. Posted on April 27. Is There Life after Poppies? Archived in May, 2013. Posted on May 27. Precocious Poppies & Other Signs of Spring (Feb-Mar, 2014) Archived in February, 2014. Posted on February 26. The Colors of Spring (April, 2014) Archived in April, 2014. Posted on April 6. Return of the Wildflowers Archived in March, 2015. Posted on March 19. Two Surprise Appearances! Archived in March, 2015. Posted on March 31. The Arroyo Mocho at the Granada Native Garden Archived in August, 2015. Posted on August 25. What’s Blooming? – March, 2016 Archived in March, 2016. Posted on March 8. In Defense of “Bugs“ Archived in September, 2016. Posted on September 10. Nature Therapy at the Granada Native Garden Archived in March, 2018. Posted on March 25.